Twin or three tube 400mm wide models suitable for either surface mounting or recessed T/Bar mounting. For recessed plaster mounting use plaster frame as shown in accessories below, x designates diffuser type. K12, K15 or opal lay-in diffuser. • PFM600-Frame for recessed mounting of 14/24w models in plaster ceilings. 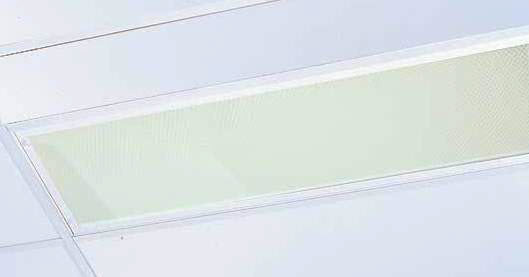 • PFM1200 -Frame for recessed mounting of 28/54w models in plaster ceilings.